Are you the companies and agencies that offer Conference and Event services? Are you building your own website? 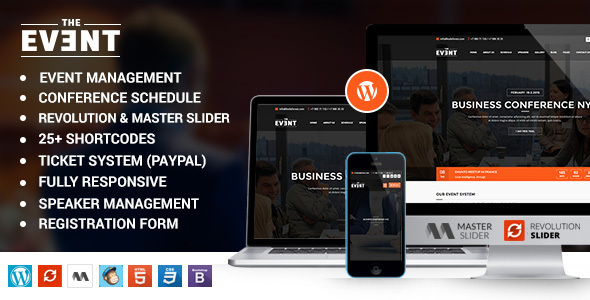 Are you seeking for a WordPress Conference & Event theme? If YES, this article is specially created to satisfy your demand!In this article I give a description of 8 latest conference & event themes and entail their live demos. They are all highly functional WordPress themes for events, summits, meetups, workshops, festivals and conferences or live concerts, music shows, events or any type of entertainment shows. They allow you to build a powerful website without hassle and save your time & money. 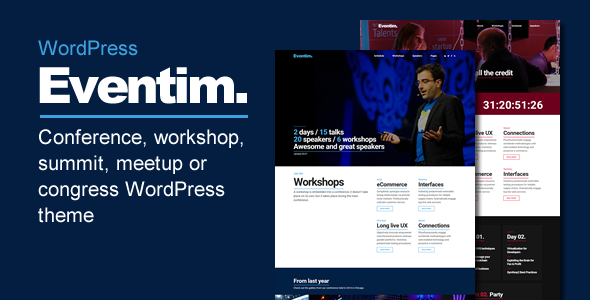 Their common similarities include Fully Responsive, many built-in powerful plugins, a wide range of icon options, shortcodes and much more.It is noted that these 8 WordPress Conference & Event themes are jam-packed with multifarious dazzling features. Therefore, it is best to pore through each theme description and its live demo before giving your last choice. By that way, you can select the most suitable conference & event theme for your website. Venue easily takes customers aback by its package of amazing theme features. In terms of Design Customization, the theme offers 700+ Google webfonts, 585+ Font Awesome icons, 240+ Flag icons, Boxed or full-width layout, 28 fully customizable Page-Builder blocks, 40+ header options and much much more. Relating to smart WordPress features, this event theme is built with 23 custom shortcodes & 11 custom HTML snippets, 18 custom widgets, 11 different standard page templates and 6 custom plugins and so on. The theme features 4 amazing gallary styles including Isotope gallery, Masonry Gallery, Flex Slider galleries and dedicated portfolio for showcasing projects. Moreover, the theme is SEO-friendly with Google Analytics integration, Multilingual & translation – ready with WPML. The theme allows users to set up websites quickly with demo content files included and child theme included. 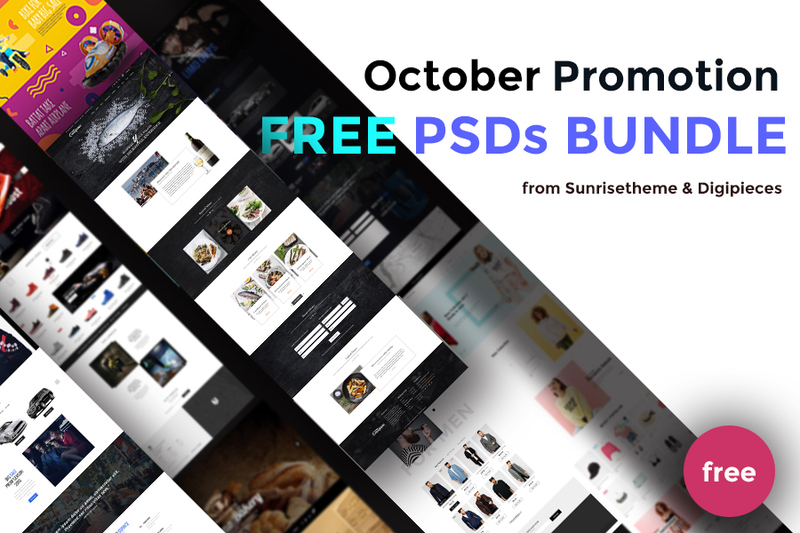 On top of all features, you are going to love the theme more for its 6 free powerful plugins including CleanTabs, Revolution Slider, WooCommerce, bbPress, Events Calendar, Contact Form 7 and TablePress. 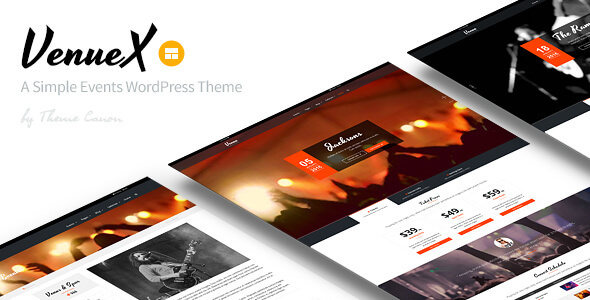 For more details, check the Live Demo of this WordPress event theme. The theme is included with one-page & multi-page ready, one click data installer, Yoast SEO plugin, advanced theme options, WPML, 700+ Google Fonts, Mailchimp Integration, Custom widgets and shortcodes generator. Additionally, the theme is integrated with 4 master sliders: BX Slider, Revolution Slider, Master Slider, Nivo Slider, and Flex Slider. Besides, TheEvent is fully equipped with event management features, speakers, schedule, faq registration, Booking and online ticket system. With these features, the purpose oriented design, responsive layout and brilliant premade design help users to represent content in smart way. TheEvent offers the complete feature package you would be looking for managing tickets, venues, speakers, sessions, sponsors and everything else required to succeed an event. 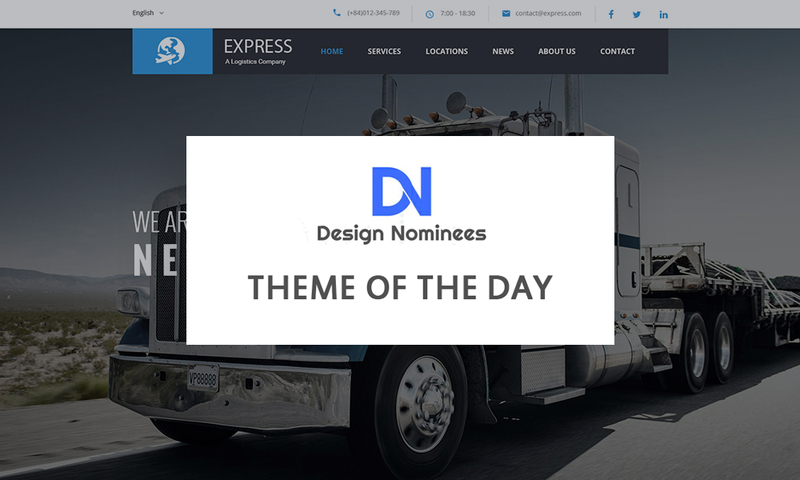 This highly customizable theme allows you to quickly start a stunning site for any kind of Event. The intuitive theme control panel and Xpress page builder let you customize the theme with ease based on predefined parameters (divided in groups). TheEvent is built with new web technologies and well optimized to maximize the speed. It supports lots of widgets to save you tons of time with content building. 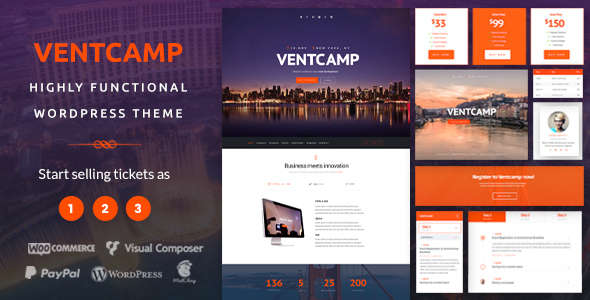 Ventcamp is built with a collection of only some but outstanding features. 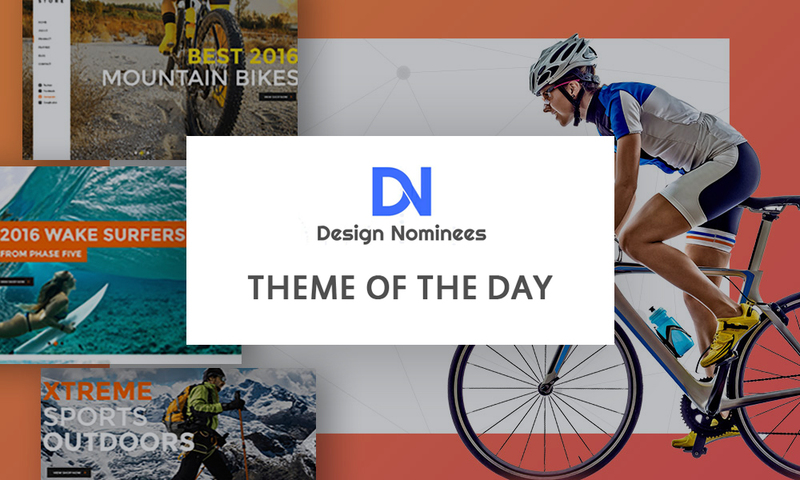 The theme is constituted by 3 homepage layouts and 100+ elements variations and awesome backgrounds. It is packed with homepage PSDs, 1000 IOS 7 Vector Line Set and color options. This conference & event theme is compatible with Cross Browsers such as IE9+, Chrome, FF, Safari and Opera. Besides, it is integrated with Visual Composer and Font Awesome 4.0. Eventer is built based on Bootstrap 3 with easy customization. It features an unique and interactive vertical progress line, improving the user experience. This clean and unique design comes with blog section, working register forms with form validator, 300+ Font Awesome icons and Google Fonts. 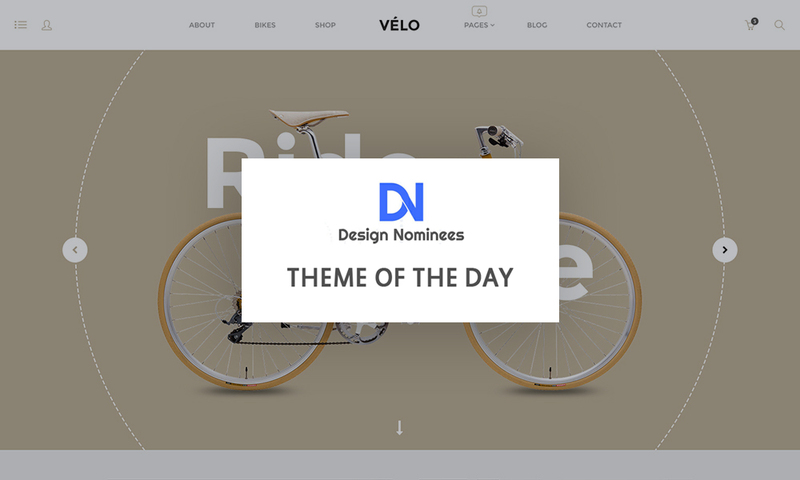 In addition, the theme offers fully-commented codes and included less files and much more features. 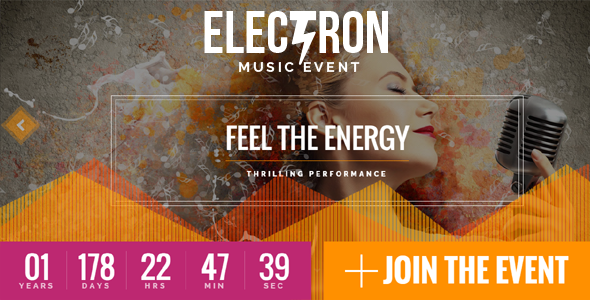 Electron is an Event Landing theme that can be the effective and convincing way of gathering audience for your live event shows. The theme is based on Twitter Bootstrap 3 Framework. Google Directions script is included to get the directions to the venue from your city or area. Upcoming events can be shown in the “touch enabled” carousel for mobile devices such as tablets and smartphones. The event theme is integrated with Tickera events, Eventbrite, Drag&Drop Page Builder, Visual Composer and Newsletter & Contact form 7. Besides, it offers color options, normal menu & Off-canvas menu styles, advanced theme options and .pot file for translation. For more details, check the Live Demo of this event & conference theme. In line with the WordPress conference & event themes listed below, Festiven allows users to create custom web pages from scratch within minutes without any knowledge of coding. 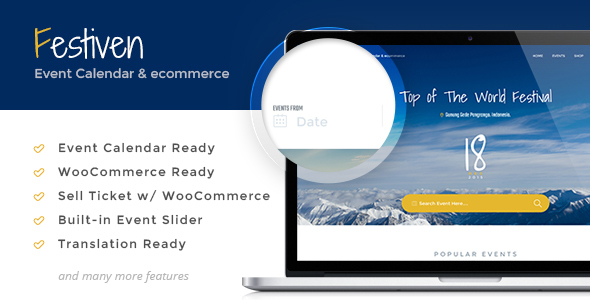 The theme offers 4 predefined homepage template, event page (Tribe Event Calendar plugin), Shop page (WooCommerce), Blog page with Masonry style and 10 post formats support. Besides, the theme is characterized by unlimited sidebars, 18 custom widgets, mega menus, sticky header, collapsed header, threaded comment, built-in pagination & breadcrumb. What is more, the theme in included with Visual Composer, Ninja Form, Dummy Data, Koo Shortcodes, SEO Optimized, WMML & .Po files for translation and so on. NRGevent has 12 demo options making it the ultimate WordPress theme for any conference or event type website (including 4 Corporate Event Demos, 4 Music Event Demos, 4 Festival Event Demos). NRGevent owns Animated Modal Popups, CSS3 and Jquery Animations, Parallax effect, W3C HTML Valid Code. The theme also comes with SEO Optimized plugin, Vimeo video integration, Accordion Schedule, Google Web fonts, Font Awesome fonts. In addition, the theme provides one click installer and Page Builder with Visual Composer so website customization would be much more easier. 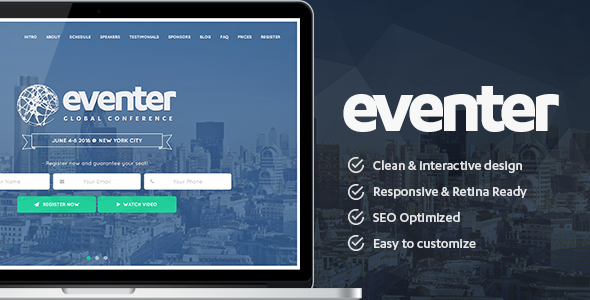 Eventim offers comprehensive options panel, event countdown timer, 4 header layouts, unique page transitions and distinctive typography and customizable quote calculator. It also includes easy -to- use and fast page builder. Eventim responds elegantly to various screen sizes and has been tested to work across devices, from the largest of desktops to modern smartphones. Moreover, the theme is equipped with shortcodes, one click demo importer, theme options powered WordPress Customizer and WooCommerce. Besides, like other themes, Eventim also comes with Translation Ready and Child Theme Ready. All the aforementioned WordPress Conference & Event themes are comprised of undeniably stunning features that are certain to suit your event website. 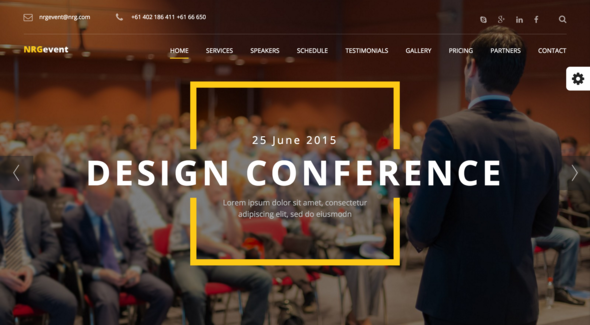 Out of many, I can select these 8 wonderful WordPress conference & event themes. For you, to choose one out of these 8 themes, it is suggested that you can select the design that matches your style or you can take my advice and buy Venue X.